Does anybody play Pocket Tanks? Pocket Tanks has multiplayer now? I used to have that app long ago... it was the first app I bought once I got my iPod. Yea it was one of the first apps I got too. 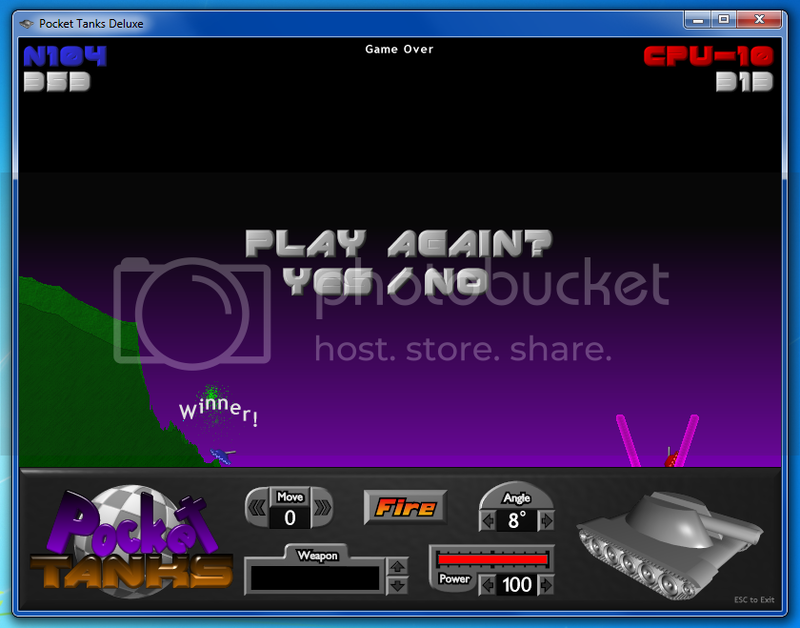 Does anybody have pocket tanks for the PC? I used to play it back in the day at school but 15$ is a little to much for a shooting game. I have to admit, I'm bad at pocket tanks. I never played anything higher than CPU-5 because it was too hard haha. Well, I finally beat CPU-10!! Hahaha i was actually recently playing this, awesome app.